Hey all! July has been really busy for us. The biggest things about July have been Indy PopCon and the plans for our new studio expansion! That's one of the reasons we hadn't pushed this out sooner. Like with the last few posts, we've got a LOT to get through, so that's it for introductions. Collapsus - So, How's it Going? Hey everybody! Sorry it's been so long since the last blog post. I'd written a draft for one last week, but decided to scrap it. On to pf that, we were going to have some guest writers come if for the blog a few times before that, but we had some scheduling problems. So. Yeah. This post today will be all about the progress of the Collapsus weekly builds so far! Let's jam! Hey, all! Sorry about not getting this piece out sooner. Everyone over here at the studio is sick as a dog (well, almost everyone… thank goodness for Skype commuting). So, in this article, since we’ve talked at length about some of our Special modes and Accessibility options we figured it was finally time to have an in-depth look at one of our oft-neglected modes: Puzzle mode! Here at Wraith we talk about accessibility a lot… and I mean A LOT. I’d go so far as to say that it’s one of our foremost tenants; which is actually pretty weird seeing as we just only really started thinking about it in 2013 or so! We really started focusing in on accessibility when one of our team members, Ryan, tried to play Collapsus and couldn’t because of his color blindness. It was a real eye-opener (pun very much intended). Hey all! In today's post I wanted to talk about all sorts of features in Collapsus. I know we did a feature post a while back (and a lot of you already know what Collapsus is all about), so today I'm going to focus on either features that we haven't really talked about on here before, or, if we have, not in a large amount of detail. It's go time! Hey guys! Wow! It's been a pretty crazy week for us! Not only did Kristy, Natalie, and I spend all Wednesday night (and Thursday morning) setting up for the Artspace Hamilton Grand Opening (Kristy and I live there and I'm the chairman of the resident committee) but then, after spending all day Thursday actually at that event, I took a Greyhound at 3am to Louisville, KY for IdeaFestival! Hey all! Things have been going really well around here as of late, though, if I'm being honest, today's blog post will probably be pretty short. See, most of you already know roughly what we have to report on anyway, so none of the news is really "huge" or anything. With that being said, here are "4 Short Updates From Wraith" (and yes, that is supposed to be a Simpsons reference hidden behind several layers of incomprehensible). Let's rock! Hey all! I just wanted to give you all a quick heads up that we will be going to a few events very soon! Over the past few years we've been to A&G Ohio three times and Pandoracon once. It wasn't until last year that we got to go to our biggest event at that point: The Ohio Game Developer Expo (OGDE, for short) to show off Collapsus to all of our wonderful fans and fellow indie developers! It was a real blast and we hope to return again later this year (though we haven't registered just yet). This year has already had us driving all the way down to Kentucky for EKU's Vector Conference where, once again, we got to meet and demo Collapsus to all of you lovely people... but that's not all for this year. Okay. Let's talk about Radarkanoid! Bam! No intro! Getting right into it! Buckle in, because you're in for a long one! So, believe it or not, we're almost done with Radarkanoid. Up until recently, there was one big bug. Yup, just the one. Since Radarkanoid was intended to be a small, free game for you all to enjoy (and a bit of a passion project of mine personally, though I'll get into that in a bit), we figured that spending a couple weeks trying to fix said bug was just too long. This was especially true since it was being done to not only get Kristy into the swing of things (she is still a student after all) in a similar manner to what we did with Dante and FlyGuy (though that's a story for another time), but she had also just taken over on Collapsus and reach a fairly large bug in that as well. A break was needed. Of course, having a side project become as stressful as a main project just won't do. So, she took a break from Radarkanoid and jumped back into Collapsus. Well, since her schedule got a bit more hectic these past few days, she decided to pick Radarknoid back up rather than putting in half measures on Collapsus. This seemed to do the trick and it should be fully done here very soon! Anyway, I wanted to take this time to get into the history and inspiration behind Radarkanoid. Oh yes, even Radarkanoid has "history" and "inspiration" like everything else around here. Remember me talking about "the Phonebook" here on the blog or in interviews? Well, if not, here's the skinny: throughout the 11 years Wraith has been operating, we've not worked on all that many games (mostly due to the fact that we became a full-time business only last year). Well, that's not entirely true I guess. See, in the first two or three years we worked on a metric boat-load of smaller prototypes (Collapsus and FlyGuy prototypes among them), that we released online for free, but they don't count because A) they were never meant to be "real" games B) they sucked and C) hey, we were still just high school students then (not that high schoolers can't make amazing games... we just couldn't). In this time, as lead designer, I've come up with countless ideas, big and small, and put them into a "book" (really just a text document) that the team lovingly refers to as "The Phonebook", due to how thick it would be if published (well, slight exaggeration... probably). So there are a lot (and I mean a lot) of games that I want to see done at some point. This isn't even including all of the projects that other team members want to do! We have enough projects to last us a lifetime... and growing! As you can probably guess, Radarkanoid is one of these projects. No one ever said they had to be "big" games on the list, did they? In fact, on several occasions it has been suggested that we have some sort of imprint (for lack of a better word) within Wraith just to handle smaller, cheaper (or downright free) games. In 2007 we thought about calling it "Wraith Arcade" and in 2012 "Wraith Minis". Heck, we even announced Minis in 2012 as an actual thing that we never did anything with (oddly enough, including a revived FlyGuy that we actually released, and the concept for Radarkanoid and Cave Worm, all the way back then). That idea seems doomed, to be honest. The imprint, not the smaller games. Just putting a label on them kind of deprioritizes them or something. So why not just make them and not need to label it? Sounds good to us! Knowing that Radarkanoid is an old idea finally taking form isn't unusual knowing us, so lets get into the nitty gritty of "why Radarkanoid?" As in: "what's so special about this particular game that made it a 'must do' at some point"? Well, to be honest, it was kind of the perfect storm of ideas for me. As you may know, the name is a portmanteau of "radial" and "Arkanoid". Radial because the paddle goes around in a circle and Arkanoid, Taito's popular 1986 spiritual successor to Atari's 1976 staple, Breakout. It's a "block breaker" game in a circle. Pretty self-explanatory, no? Well, it's not even that simple. The "radial" part also has its inspiration. That would be Andrzej Kapolka's classic, Radial Pong. What? You haven't heard of Radial Pong? Well, you must have not been frequenting the popular old school website Albino Blacksheep in 2002, then! Yup, I was inspired directly by an old web game that most people probably don't even remember. Yeah, I know I'm weird. It's a pretty cool little game, though. It's Pong (obviously), but in a circle (*gasp*). Yeah, I know, I know. But yeah, it was a pretty neat idea. Since Breakout started out as a way to capitalize on Pong, but in a single player format, it seemed only right to take Radial Pong and do the same. That's pretty much it for the gameplay, but why dos it look like a piece of old machinery, you may ask? Well, that's the next part of the story! Pong has an interesting history. Most people who are even casually interested in games know that it was the first big video game success. Many of you also know that Atari (and later Chuck E. Cheese's) founder, Nolan Bushnell created the game in 1972 after being inspired by playing 1962's Spacewar at college. He went on to clone Spacewar, with 1971's Computer Space but it had limited success. Pong would be its follow-up! Well, Pong actually predates all that with Ralph Baer's 1968 "Brown Box" prototype home video game console, which would later become the Magnavox Odyssey in 1975. Bushnell had seen one of its prototypes at a trade show and based Pong on one of its games. Needless to say, a lawsuit followed. Oddly enough, Baer's biggest success would be with the 1978 handheld game, Simon, which was a copy of Bushnell's Touch Me arcade game. So I guess it was a fair trade-off (maybe). So, why am I telling you all this? Pretty much just because I find it interesting. Well, actually, it was more for context's sake. See, Ralph Baer's "table tennis" game inside of the Brown Box was inspired by another, much older video game: 1958's Tennis for Two! As you can see, the look of not only Tennis for Two, but the hardware it's played on had a huge influence on how Radarkanoid looks. In addition to that, another inspiration was actual radar equipment.With the fact that an oscilloscope already looks a bit like a radar screen and that it is named "Radar"kanoid, I looked at a lot of radar images for reference, as well. "Okay, okay", I can hear you say. That's the end of it, right? Well, no, sorry to say. There are a couple other places of inspiration on this one. As you can probably tell, Radarkanoid's gameplay graphics don't really line up with Arkanoid, Radial Pong, or Tennis for Two. Well that's because they're more closely inspired by the vector graphics for some old arcade games, and more specifically, 1982's home console oddity, the Vectrex! The Vectrex is, in my opinion, one seriously strange and awesome piece of gaming hardware (of course, I think the same about the Virtual Boy, of which I own one, so I may just be strange myself). It was a home console with a built-in vector monitor. Vector graphics are different from what you may be used to because they're generally only one color and are very crisp, glowing, geometric shapes. Oscilloscopes are actually vector monitors, but unfortunately Tennis for Two didn't look anything like (or anywhere near as good as, in my opinion) the good ol' Vectrex! What do you think? It was a real journey; quite a fun one, too! It really goes to show you what goes into even a really simple project! Heck, don't get me started on the pop art influences in Collapsus! Anyway, I've rambled for quite some time now and development does still need to get done. Later days! Hey all! It's Jay, still a bit under the weather, but back again and ready to go! This week, I figured we could talk about Collapsus! Lets go! So, we decided to take a little break from Radarkanoid (though we've still been working on it sporadically) because A. both Kristy and I are sick (and we're the only ones working on it) and B. we wanted to prevent burn out of such a small project (there are some um... "interesting" code/math problems that we're overcoming and since it was supposed to be a quick project, it was more than a bit frustrating, to say the least. We'll get it, though). In the meantime, we're back to Collapsus (though, to be honest, we never stopped, we were working on it in tandem with Radarkanoid). Most of what we're doing right now is actually work on the Versus mode. You know, the Versus mode. Like Puzzle League, Tetris Friends, Puzzle Fighter or Puyo Pop. Those are all really, really solid games on their own, but having a Versus mode really brought them to the next level (no pun intended)! How we have the versus in Versus mode working is the better you do, the more "junk blocks" go over and clutter your opponents' field. Yup, note that apostrophe placement. It's not a typo. We're working with (at least) up to 6-player battles! Maybe even more, if we can. Still testing the waters on that one. So yeah... as I was saying: junk blocks are kind of a staple in the multiplayer puzzle genre and with the mechanics we use in Collapsus, it just felt right to use them. 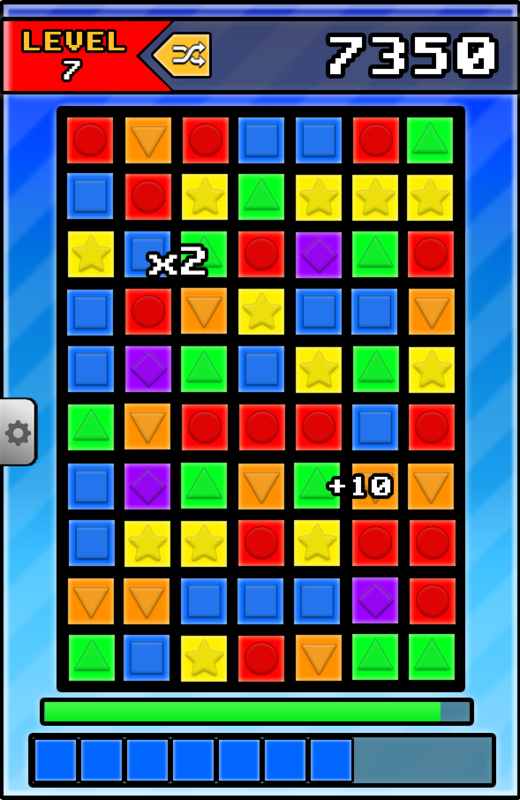 We originally had the junk blocks be just singles, just like any other block and regardless of who sent them (or what field they were on) they'd be the same color. We figured after a while that both of those ideas were a bit dull, so we're experimenting with junk blocks that merge into one-another, complete with color coded, per-field aesthetic! On top of that, we may finally have a layout for two player! We think it's pretty sleek. The version of the screen with even more players will have a bit of a different layout (and multiplayer is only available on devices with screens that can comfortably support it, as well), but this is a good guideline of how it'll probably look. On top of that, in our design room (and over Twitter) we've been discussing how we may do a chat feature. Seems that emotes may be a fun way to do it. We should have some of those early ideas up on Twitter soon. It's all pretty cool stuff, if you ask us! We're trying to keep these matches pretty frenetic and interesting without altering much of the core gameplay that those who have played it have grown to love. Like, why would we make it too drastically different and still call it Collapsus!? That'd be crazy! So, for the most part, other than the addition of junk blocks and new power-ups (which we'll get to in a later article) we've tweaked some of the original power-ups to do things to your opponents as well in addition to their normal, single-player effects. We're keeping the transition simple. Collapsus is best when it's simple! We can't wait to get something playable out to you (probably in the form of our free, online weekly builds) but we'll probably have a new trailer before that. After the weekly builds start, hopefully (again, hopefully) we can get that Kickstarter campaign out the door and then working on the mode specific trailers after that. So exciting! We hope that you can't wait to see (and play) it as much as we can't wait to give it to you! Next week: Something completely different (probably)! Hey all! Well, for this week I wanted to discuss a (very) little project we're currently working on called Radarkanoid. It's a block-breaker style game similar to the likes of Breakout or... well... Arkanoid, but instead of a standard (and a little boring as of 2016) rectangular play field, it's a circular one where you can move up the walls (similar to Andrzej Kapolka's Radial Pong, that you may have played on Albino Blacksheep back in the early-2000's). It actually has several inspirations both mechanically and aesthetically other than just those, but since we're planning on putting out a postmortem blog post after it's done, we'll save that for later. Believe it or not, it's a game that I've been wanting to get done for quite some time(before Physix, in fact) but never got around to doing because other, larger projects ended up taking not only my time, but the rest of the studio's as well. It was conceived as one of a few smaller, free games that were just sort of neat experiments that I felt had to be made, even if they weren't earth-shattering by any means. We put these up on Twitter last week mostly because I was trucking away on the art before Kristy got to working on the programming. That's right, this time there are only two of us on this unlike Colalpsus and Physix. Just me and Kristy. Told you it was a small project! We really don't want to waste to many people working on such a small, few game. How else would our big titles get done!? I eventually got to something looking like this. Pretty neat, huh? Well, like with the gameplay inspirations, the graphics have a lot of hidden inspiration, so you'll just have to wait until the postmortem to hear about them. Ain't I just a tease? After that, we started working on some powerups. Currently we've got one that gives you an extra paddle, a paddle extender, multi-ball, a burning ball and, of course, an extra life! The game's all here! We may add, change, and/or omit some of these, just for now, these seem pretty solid! We even have a special version of the logo! Sharp, right? But yeah, it's not the biggest game but we've really had a lot of fun with it in-house both designing AND making it. The plan is to release it for free on Kongregate, Newgrounds and maybe some other free places on the web and we're also shooting for a mobile release. Let us know if you'd like to see it anywhere else! Hey all! It's Monday again and you know what that means... It's blog time! This past week (heck, even the past 3 weeks for that matter) have been a bit slow with Christmas and New Years. New Years is actually a pretty big deal for us around here because unlike most people who get hammered and count down the ball drop, several members of Team Wraith (and a few other friends) get together for our annual Dungeons and Dragons party! It really caps off the weekly sessions with a bang! Yeah, that's right, we do it weekly (and we've been doing it since 2005, to boot!) So that's always fun! Anyway, on with the show! As you probably know, we're trying to get Collapsus ported to pretty much anywhere that'll have it: PC (hopefully Steam, GOG and the Humble Store especially!) Mac, Linux, iOS, Android, Windows phone, Fire tablet, web browser (mainly Kongregate and Newgrounds), 3DS, and Wii U just to name a few! Today, though, I wanted to talk about some of the, um, "weirder" aspects of Collapsus distribution. Firstly, I'd like to talk about the Arcade versions, since we've mentioned them at various points before. Progress on the dedicated cabinet that's going to Arcade Legacy is going smoothly but slowly. I have a bit of experience with arcade cabinets not only with me being a collector of vintage cabinets, but also having also built my own MAME machine. That's one of the big reasons we're shooting for an arcade release. I (all of us, really) LOVE classic arcade machines! To be honest, it's all pretty simple stuff, but it's a pretty big investment of both time and money. It'll be done when it's done, I guess. We're also trying to make a build for the Winnitron Arcade Network. It's mostly going to be a port of Versus mode with more of a focus on local multiplayer, as per Winnitron's specifications. It'll join other multiplayer variants of awesome indie games like Super Crate Box and Canabalt. As for smart watches, we're trying to get a Pebble build out, especially with the new "Time" and "Round" featuring color displays... but we're also doing a greyscale version for the "Classic" and "Steel", of course. This desire comes from the fact that the Pebble version of Tetris is surprisingly awesome and I love playing it to kill time. So why not Collapsus, too? Hopefully we can get it on other smart watches as well, but since we don't have access to them (as of right now) we'll just have to wait and see. Then there's the Ti-83 calculator! Oh my, the Ti-83. You remember the old Ti-83, right? It was simply the best graphing calculator for so long and it's still used today! Heck, one of the coolest things about them were the games and programs! There were tons of awesome games on a calculator of all things. It was crazy! Anyway, it'd just be pretty awesome, no? One of the biggest reasons we want to do this is because we have a friend how actually made a pretty awesome Rubik's Cube solver for it back when we were in school. Part of me is just hoping we can convince him to be the one to make it so I get a chance to work on it with him. Last, but not least, I guess, is the original kindle. Seriously. Not the Fire (though we are making a release for that... it's even what we demo'd it on at OGDE) but the original Kindle eReader! When we found out that Settlers of Catan has a version running on the original Kindle (I'm not kidding, take a look: http://www.catan.com/game/catan-for-amazon-kindle) we realized we had to try! No other reason than because it would be neat. So... that's a bit of a write up on some of the unusual places we want to release Collapsus. Some of them we're actually making 100% sure we're doing and other's may just be flights of fancy that may not come to fruition. Either way, none of these non-standard releases are taking time away from the development of the core game. One thing's for sure, though: no matter where Collapsus shows up, you can bet it'll be a fun time! Hey guys! I know it's kind of unusual to see a blog post from us that's not on a Monday, but I figured that since we're competing for App of the Year, it would be best to get this out while all eyes are on us. Over the past couple weeks I introduced the uninitiated to the history of Collapsus and an exploration of what'll be in the game when it's released. This time around, I want to write an article about our development process and where we go up through release. Sound good? Lets get started! I just can't get enough of this GIF! Unity's been pretty reliable for us and as such, we've been getting quite a lot done, having the core gameplay (bar a few bugs) entirely playable at this point (as those of you who played it at OGDE can attest). After that, we started working on getting the new power-ups working. This involved working on a new system called the power-up "Dock" and making some really cool (and useful) effects! If I had to guess, I'd say those are about 75% done or so. The next step is working on the Special modes. The entire point of the Special modes are to change the game perpetrators in some way that dramatically alter the gameplay you came to know in the Standard modes. Our favorite example is 'Gravity' mode, where by tilting your phone, you change the gravity of the screen which, of course, changes how the blocks fall. It's all pretty good stuff. We're probably about 85% with those. 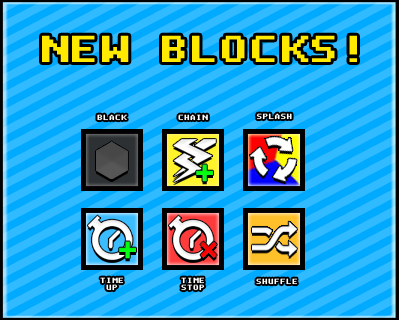 Lots of new power-ups and block types, many of which are Special mode specific! Sigh. Versus mode. It's about 10% done. There's so much going into Versus mode, we're still nt sure if it won't just be free DLC. So many new power-ups, new mechanics, an entire new screen layout and all that networking! It's so much work, but it's what we're mainly focusing on right now as far as design is concerned. The programmers are still doing everything else, but us designers... this is where all our time goes. We want it to be perfect... we hope it won't disappoint! Well, what's after development? Glad you asked! We're still working on the Kickstarter video which means that the studio remodel had to be finished all the way. We're filming half of it here and the other half at Arcade Legacy so we can have real people try it out and talk about it. Right before the launch, we're releasing our press kit and we already know of a few places who asked us to let them know when we're launching so they could do articles on it. Around that time, we'll be releasing online weekly builds, playable in your browser, on Kongregate and Newgrounds... that way you can get a feel for the game before you go support it. After that, though we're putting it up on Greenlight and shipping it off to the App Store, Google Play, Amazon and Microsoft Marketplaces. Funnily enough, while writing this article right now, Nintendo just called approving us as authorized developers. Like, seriously... while I was writing this. That's just awesome! We're also then going to be putting the Android build up on Piratebay for free and hopefully we can get onto GOG as well as some smaller marketplaces as well. After that, though we're going to try to approach the Humble Bundle (and various other bundles) as well as submit to IGF, IndieCade and IndieMEGABOOTH! There's a whole lot going on for us in the next few months and that's not even considering the other games we're already working on! Now, as for even smaller releases like on the dedicated Collapsus arcade cabinet going to Arcade Legacy, the version going onto the Winnitron network and the release for the Pebble smartwatch, we'll have to see. They shouldn't be a problem still, but they may be delayed until after the release proper! There's so much left to do, but so much done already! We can't wait to keep showing you guys what we got! Nifty in the Top Fifty! Is it Monday again already? Wow! We've had a pretty busy week, to be honest. With the holidays quickly approaching and dev ramping up in a big way (especially with the Versus mode in Collapsus), and us finally reaching 1000 Twitter followers, time really does fly! Well, on this week's blog post, we have something very special to bring up! Hot dang! It is such an honor to be in this position! We've been working very hard make Collapsus the best game we possibly can and I guess, somehow, it really showed! When we went to OGDE last month, we had very positive feedback from all of the wonderful people who played the demo, but with over 2500 other games in the running, we never thought to land in the Top 50 for 'App of the Year'! It occurs to me that with the influx of new traffic from both Twitter and SlideDB, a lot of you may not know as much about Collapsus as those who have been with us for the long haul. Last week we made a post about all of what Collapsus has to offer (it's a really long feature list and if you haven't seen it, you may want to. You can do that here). Right now, I want to take a little time to talk about the Collapsus development process, if you'll indulge me. Back in 2006, when I had first started trying to make games and before there really was a 'Wraith Games', I had wanted to make a game for my mom, who at the time was really into puzzle games. Over the course of several months, I had whipped up a prototype that would soon become known as Collapsus. I took inspiration from many notable (and fairly disparate) sources; particularly the likes of puzzle greats like Tetris, Bejeweled and Puzzle League (and oddly enough, the movement of a Rubik's cube). 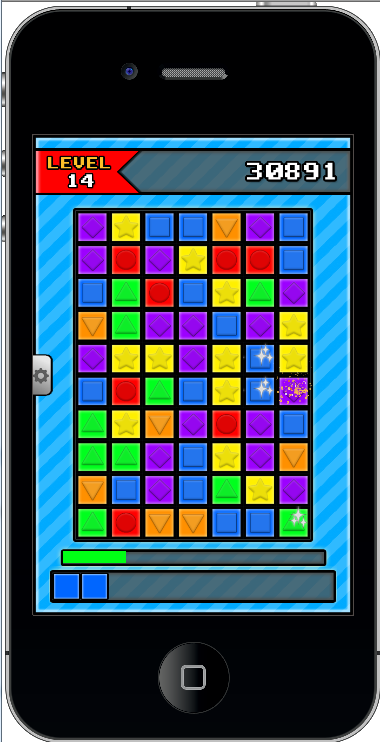 The end result was a game where you try to match 4 or more colored blocks in a line by destroying undesirable blocks. The entire game is built on a unique risk-reward centered resource management mechanic because, let's be honest, it's just more fun to break blocks than to swap them! While this prototype was still very rough, I knew I had the start of something worthwhile, but at the time had no way of bringing it to the next level, so it just sat there on my computer, collecting proverbial dust while I finished school. Cut to many years later... After I had moved out on my own I decided to show my then girlfriend the old prototype which she immediately fell in love with. I'm pretty sure that without it, she wouldn't have agreed to my marriage proposal the very next year. She told me to stick with it and keep making improvements, so I ended up doing just that, after finding new friends who were much, much better programmers than myself (including, eventually, her as well), that is. 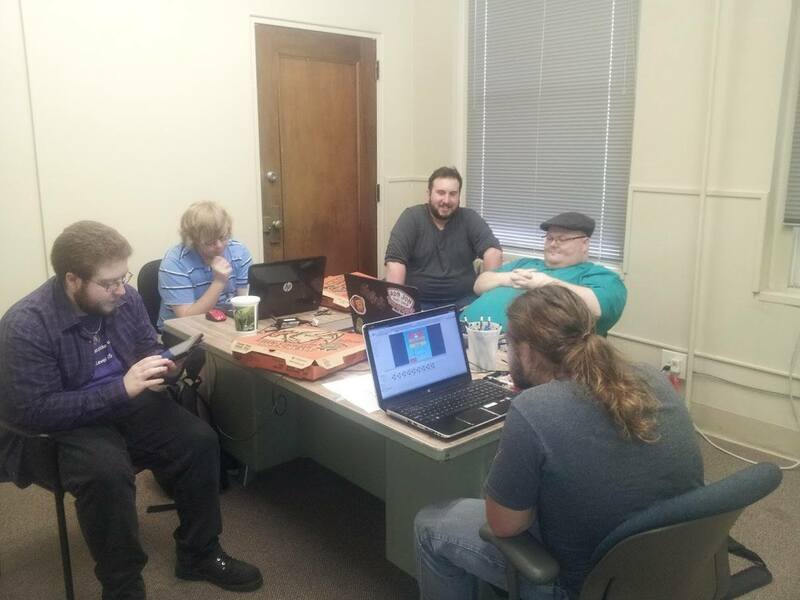 My new team helped bring new life into that unpolished game and together, we made improvement after improvement until we were confident that we had made a fun, unique, and addicting puzzler! 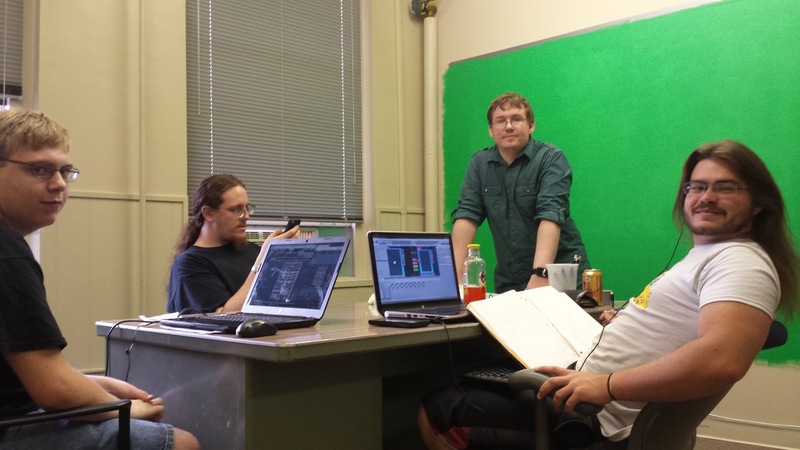 Now we have actual studio space, a Kickstarter on the way and wonderful fans like all of you! We may not make it any further than the Top 50, and if not, it's sure been awesome just being here. Don't get me wrong, all of us very, very much hope we do... but just knowing that all of you brought us to this point and that the game we love working on has resonated with so many of you even before it's out makes all this worth it! Thank you! But seriously... go vote for us! Hey all! Sorry to say that not much really went on this past week with Thanksgiving and me being sick. Most of our development time was spent working on the Collapsus Versus mode. 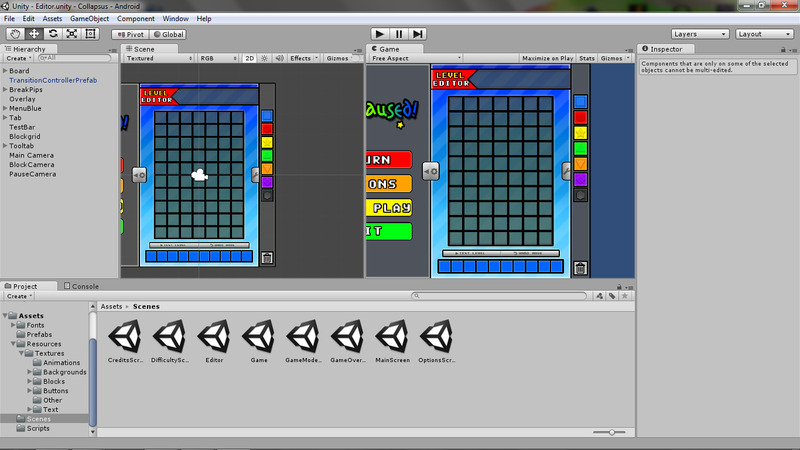 Getting power-ups, junk blocks and working out the lobby and matchmaking system. As such, I figured that I could give you all a refresher on what's actually going to be in the game when things are all said and done as it stands right now (featuring various old screenshots to accompany said features). This also gives me the opportunity to post the OGDE trailer we did here as well (since I haven't yet)! Ready? Collapsus will feature 3 Standard difficulty modes (Easy, Medium, and Hard) with 2 unlockable harder difficulties (Expert and Diabolical). These modes can be played either with a timer or without. There are also 20 Special modes (formerly called "Challenge" modes) that add all sorts of new content into the game. There are time trials, score challenges, a mode where the screen's gravity is based on how you rotate your device, a mode with half n' half "split" blocks, one where you shake your device and it shuffles things around... tons of new ways to play the game! Once you beat those, there is a new "Plus" version of each Special mode that adds new twists to the new twists! We call this "Special+". There are also two "special" Special modes as well: Daily mode throws the same scenario at you every day and maps your improvement and Custom mode lets you add parameters from other Special modes you've unlocked so you can create your own crazy Special modes! There's also a Puzzle mode with 200 built-in puzzles for you to enjoy, as well as a puzzle Editor that lets you make and share your puzzles online! In addition, there are free Daily puzzles that come to your device for free every day! Heck, any and all DLC for Collapsus will be provided for free and the game as a whole has no ads or micro-transactions either... Just pay the $.99 and have fun! If that wasn't enough, like we mentioned at the beginning of the post (and ad nauseum over social media), we're working on a Versus mode with up to 8 players battling against each other to see who can send more Junk blocks over to their opponents. This mode features all new competitive power-ups not featured anywhere else in the game! Collapsus also features tons of built-in Medals that create tons of replay value as well as a bunch of cool accessibility options for players with colorblindness (which we recently found out isn't the norm, which is weird because to us it was just kind of common sense)! Collapsus will be released on iOS, Android, Fire Tablet, Windows Phone, PC, Mac, Linux (hopefully via Steam if our Greenlight goes through) and 3DS (we're still going through the Nintendo approval process, but so far, so good). We're also trying for some more, let's say, "unusual" platforms as well, such as its own custom arcade machine as well as the Winnitron Arcade Network, Pebble smart watch and TI-83 calculator (though these are not our main priority at the moment, mostly as they'd be playable for free). If we could find someone to help us put it on Gameboy, Dreamcast or any other retro consoles, we'd love to do that, too! A Blog Post That's Actually About Game Design! Hey guys! Well, like the title suggests, it's been far too long since we've had a blog post about actual game design! Things have been crazy with the rebrand, studio redesign, Collapsus Kickstarter prep, and OGDE... but this time, it's all about that sweet, sweet dev! We got a lot of wonderful feedback from OGDE, so many of you loved the Collapsus demo we provided and some of the ideas mentioned for improvements will more than likely be implemented into the actual game in one form or another. For instance, a few of you asked if Collapsus would feature multitouch on tablets, and while we had previously played around with it in the normal game mode, it really made it too easy. Ultimately, though, we feel that while it's probably not appropriate for Standard Mode, with a bit of a difficulty boost, a multitouch Special Mode would be really wonderful! It's not all rainbows and lollipops, though. While we knew some parts of the demo were missing or broken, we didn't really know how much until it hit the showroom floor. Now, that doesn't really mean much for the final release, mostly because literally all of the problems in the demo could have been fixed easily; we just didn't have proper time to test it all the way first. Luckily, most of you didn't notice anything was wrong, so there's that! Here's a brief list of the problems we didn't notice until it was too late (mostly because I find it really funny): The "Freeplay" option just didn't work sometimes, the game would restart your progress after you backed out of the Options menu, nothing in the Stats screen was accurate to what had just been played, and saddest of them all... the Chameleon block animation (shown below) didn't play! We really liked that animation! Luckily, we're taking this post-OGDE time to fix these problems as well as getting more done. We're even updating animations like this one as well as the particle effects used for the Powered Blocks. We're also in the process of diving deep into the Versus mode as well! We're even implementing smaller changes/fixes such as removing the "Freeplay" checkbox (which disabled Timed mode) and replacing it with a "Timer" checkbox so instead of having to turn off the timer, you have to turn it on. It's the little things, you know? There's just so much cool stuff we get to do before the weekly public builds start and with the Kickstarter right around the corner especially, you can bet your butts you'll be seeing all of it as it comes along! As I'm typing this it's early Monday morning (just past midnight, to be precise, so when I say it's early... yeah!) Later today we have the filming for the first half of the big Collapsus Kickstarter video, which should hopefully be finished right before we launch our new weekly builds on Kongregate (stay tuned for that in the near future). That's not what I'm really here to talk about however. I mean, how am I going to fill an entire blog post with stuff for a video that hasn't even been filmed as of the writing of this post (I'll save that for a week or two from now)? No. This post is all about another video that we've been working on the past few weeks! We've been working on an all new trailer for Collapsus to coincide with our next convention appearance! While I can't really talk about that yet (don't worry there will be a post about it when the cat's officially out of the bag) I can say that the event staff requested a media pack, complete with an all new trailer for the event! This is it being edited in Adobe Premiere. Get it? "Premiere-ing"? Like "Premiere"? Adobe Premiere? In the title of the... oh never mind! We're going with a pretty straightforward "gameplay with blurrier gameplay in the background while text flies by explaining why you need to play this" route. Classic. Right now we're about 95% done with it and we should be ready to show it off when we make our announcement for our next big appearance! Here's another one... this time with text! We've been putting a lot of work into this video to make sure it's awesome and we hope the new Kickstarter video is just as good! With the re-brand, Kickstarter, weekly builds and this upcoming con appearance, we've been pretty busy, but it looks like it's all coming together! Thanks for being along for the ride with us! Hello everyone! It's been a bit since I've posted something worth noting, but we've mostly had a few “little things” and wanted to have more for you when I finally posted again. But-- now that we have some updates, I'm here to say everything is rather on track, all things considered. First I want to welcome a couple new team members: Steve and Chad. Steve's a very talented 3D Artist, as well as a Graphic Artist... and I hear he's decent with music too, but I've yet to hear anything he's done yet (Get on that, Steve... I'm waiting). Chad, on the other hand, is just starting his career in design and development is an intern that has been working with us when we've not had him busy with tutorials (gotta make him useful... the cheeky git). Both are awesome people to simply even know and we're excited to have them with with us. 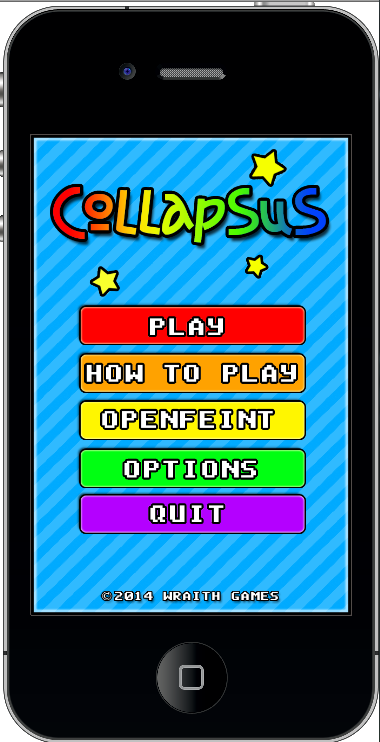 Now, I know some of you have been curious about our up-coming mobile title, Collapsus. Rest assured that it has been coming along nicely. Even I have been enjoying the time I've spent playing it, and I'm not much of a “mobile puzzler” type of gamer. Look for some more frequent updates about it coming up soon, as we're starting a Kickstarter to help with the finishing touches. At least, that's what Jay told me after talking to Kyle and Geoff more in-depth about it. Fear not though! Just because our focus in on finishing up Collapsus, that doesn't mean our other titles are being wholly ignored or put on hold. Physix and AAAAH!!! A Giant Freakin' Cave Worm Run!!! are still being talked about very regularly as we continue to tweak Collapsus. And once we have those three titles released, we're looking to start back up with Jet Pack Hero again. Busy, busy, busy... so-- re-cap. Collapsus is coming along well enough that we're going to have a Kickstarter campaign started here soon. After that, we'll turn more attention to Physix and AAAAH!!! A Giant Freakin' Cave Worm, Run!!! before resuming steady development on Jet Pack Hero. For all of you that have been patient and read my ramblings, I have a treat! We have some pictures of the office! Complete with a a husk of an arcade cabinet that will be converted to a Collapsus cabinet to be put at Arcade Legacy. We're talking large pictures you can actually see, unlike the pictures in Jay's SlideDB post! More News on the Slow Development Process of Collapsus! Anyway, what does that mean for Collapsus? Lots! We've been working pretty hard on getting it all wrapped up and we think it's going pretty well. So well in fact, we're pretty sure we can have a live demo on Kongregate and a Kickstarter up and going by some time in August! We're pretty much done with the core game (bar some bug fixes); so that only leaves implementing the various modes which is as simple as tweaking some values. The art department is also working on utilizing Unity 5's particle effects to their fullest and the music and sounds are still in the works as well. Nothing all too bad, if you ask me. You know us and dates, though. So until you hear an official date, don't quote me on anything. Pretty nice! In addition to all that, as well as all of the consoles we're releasing on, we're in the process of working on a physical arcade cabinet that should be going up at Cincinnati's own "Arcade Legacy" shortly after launch! We also hope to get that version out on the Winnitron Arcade Network, so non-Ohioans can enjoy it as well! You can go read more about that side of development over on our website, if you're interested. Well, that's all we have for now, I hope to post more often, but whenever I say that it takes about a year for it to actually happen for some reason, so I'll just say that I'll try my hardest. Here's hoping that you all get to play this labor of love of ours soon! After that, who knows, maybe we may actually get some work done on Physix or Jet Pack Hero?... Nah! So, um, yeah. Our project's not dead, I swear. I'm just really bad at posting updates. Seriously, just look at the Wraith Facebook, Twitter, G+ and Blog. Nothing. I've never really been good at that sort of thing. On my personal Facebook I forgot to mention anything about my Christmas or winter trip to Michigan as well as a whole bunch of other stuff, but I digress. Anyway, we took a bit of a break from Collapsus for a while because of the school load of both of our programmers, but we've been back at it for quite a while. Here's a quick look at some of our more recent builds. We even have some new block types! 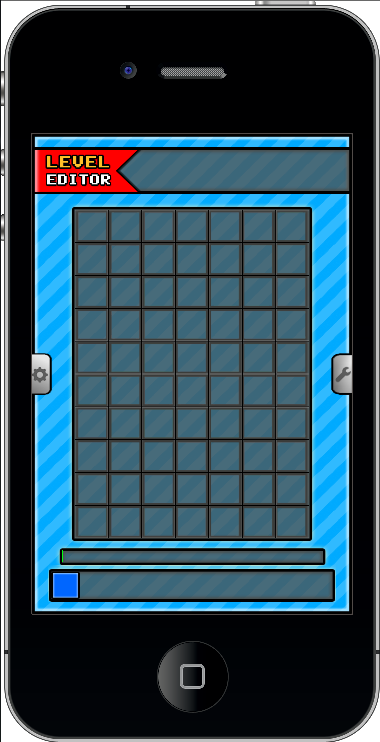 We've been spending most of our time working on the Puzzle editor and online sharing tool, which is now mostly done. We thought that it was going to take much longer than it really did, which was a pleasant surprise. We may be switching all of our work from Corona over to Unity as one of our guys took a week to port 98% of what we had done over into it just to show that it would be more efficient to code in C# rather than Lua. Since he got so much done in so little time, I just may take him up on that. I've made several minor graphical changes and it seems that the graphics will probably still be in flux until we ship it out the door. I hope to be on here more often, but it seems that whenever I say that about anything, it's a lie. Hope it's not this time. Copyright ©2018 Wraith Games Limited. All Rights Reserved.